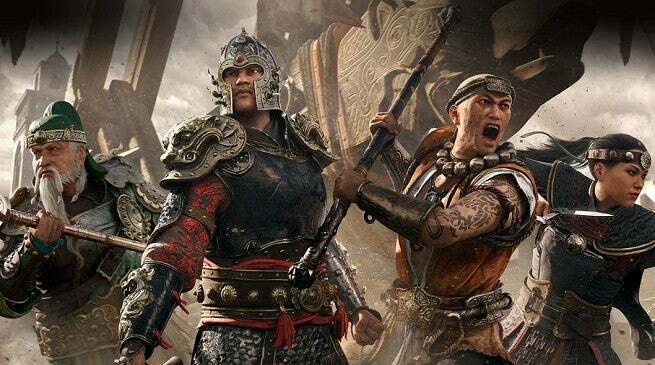 Ubisoft announced that For Honor’s “Marching Fire” update has now begun rolling out across all platforms. An update that Ubisoft said is the biggest one for For Honor to date, Marching Fire introduces a totally new faction complete with different fighters along with another game mode and other features. The maintenance for the update is expected to take around 3 hours, Ubisoft said, with different platforms likely finishing first before others. Ubisoft detailed what was changing in a set of patch notes that were released prior to the update going live, but the biggest changes that many people have been looking forward to are the four new fighters representing the Wu Lin faction that are shown in the trailer above. Each of the heroes added in the update are unlockable with in-game currency, but those who buy the Marching Fire Expansion will get instant access to the four new fighters. The heroes unlock for everyone else two weeks from the update going live, but the $29.99 expansion grants those immediately. The Arcade mode is also part of the paid Marching Fire content, a mode that can either be played solo or with another player. This game mode lets players fight battles in a single-player format with the chance of unlocking new content for heroes and getting more experience with the fighters before taking those unlocked rewards into real PvP fights. Only one person needs to own the Arcade mode if you plan on playing it co-op with someone else, Ubisoft explained. For those not getting the Marching Fire Expansion, there are still other free features to look forward to beyond the new heroes eventually being purchasable with Steel. A Breach mode and updates for the game’s graphics and user interface were also included in the update with a full FAQ here to answer any lingering questions.